Posted February 12th, 2019 by NSW Courts & filed under Criminal Law, NSW Courts. Posted June 19th, 2018 by NSW Courts & filed under Criminal Law, NSW Courts. Posted October 15th, 2016 by NSW Courts & filed under Criminal Law. Are Video-Links De-Humanising Court Proceedings? Posted October 5th, 2016 by NSW Courts & filed under Criminal Law. Posted September 29th, 2016 by NSW Courts & filed under Criminal Law. Can Private Companies Be Trusted to Run Our Prisons? Posted September 14th, 2016 by NSW Courts & filed under Criminal Law. Posted September 8th, 2016 by NSW Courts & filed under Criminal Law, NSW Courts.  Posted August 25th, 2016 by NSW Courts & filed under Criminal Law, NSW Courts. Posted July 28th, 2016 by NSW Courts & filed under Criminal Law, NSW Courts. Posted June 29th, 2016 by NSW Courts & filed under Criminal Law, NSW Courts.